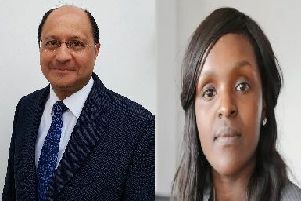 A Peterborough city councillor has been condemned in his absence for accusing another member of showing “fascist tendencies” and misuse of private information. Members of the council’s Constitution & Ethics Sub-Committee met on Monday to consider the case of Cllr Darren Fower (Labour, Gunthorpe) who has been a city councillor since 2004. It was alleged that in March 2018 Cllr Fower had a letter published in the Peterborough Telegraph where he criticised the decision of Cllr John Fox (Werrington First, Werrington) to close the public gallery in the Council Chamber during council meetings. Cllr Fox, who at the time was Mayor of Peterborough, had closed the public gallery on the advice of the police and legal officers due to safety concerns following protests against Cllr Andy Coles over his undercover spy past. Leader of the council Cllr John Holdich (Conservative, Glinton & Castor) also alleged that Cllr Fower improperly used personal information provided by those who had signed an online petition that called for the re-opening of the public gallery. It was alleged that Cllr Fower used the names and addresses gathered in that petition to generate emails to the council’s chief executive Gillian Beasley, Cllr Holdich and Cllr Fox without the signatories knowledge or permission. Cllr Fower had been approached personally and contacted 37 times in the months following the incidents by the council’s director of governance and monitoring, Fiona McMillan, who had given the councillor the opportunity to apologise to Cllr Fox in order to placate the matter. However, Cllr Fower refused to offer an apology and the matter was then investigated by an external monitoring body, which is council policy. Alex Oram, investigation officer for CH&I Associates, reported his findings to the committee at Monday’s meeting. He said: “It is my finding that in both instances Cllr Fower’s conduct was reckless. Chairman of the committee Cllr David Seaton (Conservative, Hampton Vale) wanted to know if the council would have been liable for any injuries had the public gallery remained open and an accident had occurred. Ms McMillan said: “Yes the council would most probably have been liable under those circumstances. The protesters in question started their campaign in July 2017, which quickly became more vocal and aggressive, which is why under instruction from the police the public gallery was closed. Turning his attention to the online petition to keep the public gallery open, Mr Oram added: “Mr Fower’s position was that the petition had been given freely to those persons whose information he used for them to sign. “Cllr Fower felt that he was therefore free to use that information for whatever purpose he liked afterwards. “But councillors must be very cautious about the gathering of date in their position as a councillor, and how it is subsequently stored and used. Ms McMillan confirmed that to her knowledge Cllr Fower had never undertaken any such training. Cllr John Fox was allowed to address the committee. He said: “As a former member of Her Majesty’s Armed Forces I took particular offence at the use of that word, and everything that its connotation advocates. 4) A censure report will completed and filed.